After a dominant first stage (capped off with a Stage Finals appearance,) the Vancouver Titans are sitting firmly atop the Overwatch League pile. Their long-established synergy and extensive history in the 3-3 meta has served them well in Burbank, where their 7-0 regular stage and a squeaky clean playoffs run currently has them at 15 straight match victories. A key factor in those 15 victories has been off-tank savant Hyeon-Woo “JJANU” Choi. 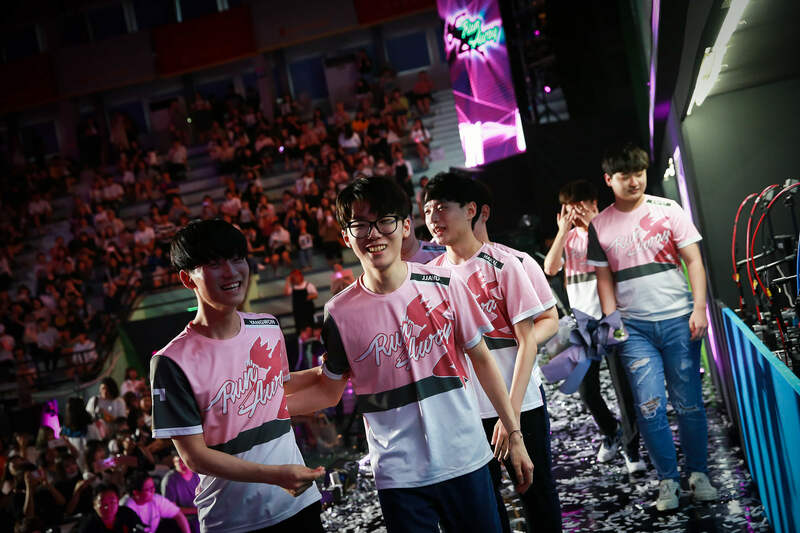 His scarily consistent D.Va play has helped the Titans develop a hyper-aggressive style that has wowed viewers and worried their opponents in equal measure – something frequently cited by analysts and commentators when discussing the Titans’ dominance in this or any meta. While the Titans have easily been one of the hottest and most talked about teams in the League so far, getting a good conversation with any of the players has been a challenge for journalists and interviewers, thanks to their lack of a dedicated translator. We would have faced the same problem – and missed this interview – had it not been for the intervention of Gatamchun. We at The Game Haus would like to thank her for assistance in translating our questions – and JJANU’s answers – for this interview! First off, how are you feeling after an intense first stage? It doesn’t look like things are about to get any calmer for you guys. How are you and the team holding up? Our team house is so good that we’re kept in top condition. On top of that, we’re in the GOATS meta, which is a comp we’ve been using since we were in Contenders KR, so I haven’t been too worried about that. I think we’ll continue to be busy, but I’m not worried about the games. What has been your favorite moment in the Overwatch League so far? My favorite moment? I don’t think I have one… Every time I’ve won a match has been my favorite moment! Is it stressful to play D.Va when you’re playing alongside a hyper-aggressive Reinhardt player like Bumper? How do you keep him alive and handle all of his energy? Our team knows that Bumper plays really aggressively, so we can peel for him as much as he needs. We can also use [that energy] to focus down the enemy – so it’s actually more our strength than a weakness. What hero would you want to main if you didn’t have to play D.VA anymore? If I wasn’t maining D.Va..? I used to play a lot of Roadhog in the past. I’d like to use him in pro play, too. 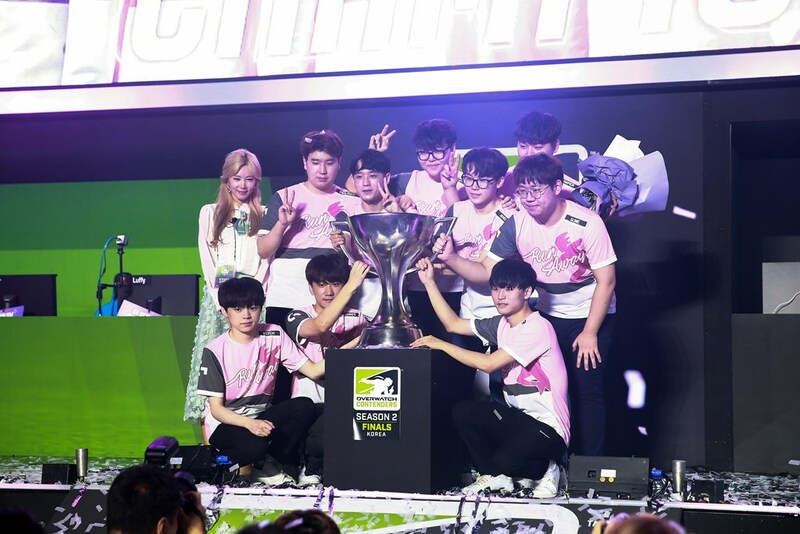 What’s your opinion on RunAway’s current roster as it stands? Are there any other players that might be a good fit for the Titans if they felt the need to sign more players? Honestly, I don’t have much to say about our current roster. I think every player on this team is the best in the League in their roles, so I haven’t thought much about any players I’d like to add – though I have thought that we could use another flex tank or main tank. I just haven’t thought about who that should be. What’s your favorite part of living in America, and in LA in general? And what’s your favorite food to eat here? I’m really happy that I’ve had an opportunity to use English here, however little, because my English is really bad. I also like being able to see non-Koreans. The environment around LA is really pretty and nice. Our team house is great too – our living situation is pretty top! As for food, I like any meat or seafood. There’s definitely a difference between having Flowervin around and not having her… Right now, we’re focused on the games and matches in OWL – so maybe I miss her a little less than I would, but sometimes I still think of her and the difference she’s made [in our lives]. Any last messages for the fans, your opponents, your family, etc? Any trash talk to leave us with, while you’re at it? I’d like to sincerely thank our fans and families who always watch and support us. To our finals opponent, I’d like to say: you’re not going to win this stage. Not when you’re going up against us. Follow Brandon on Twitter @thibbledork! Ask him questions, or tell him how he’s doing!